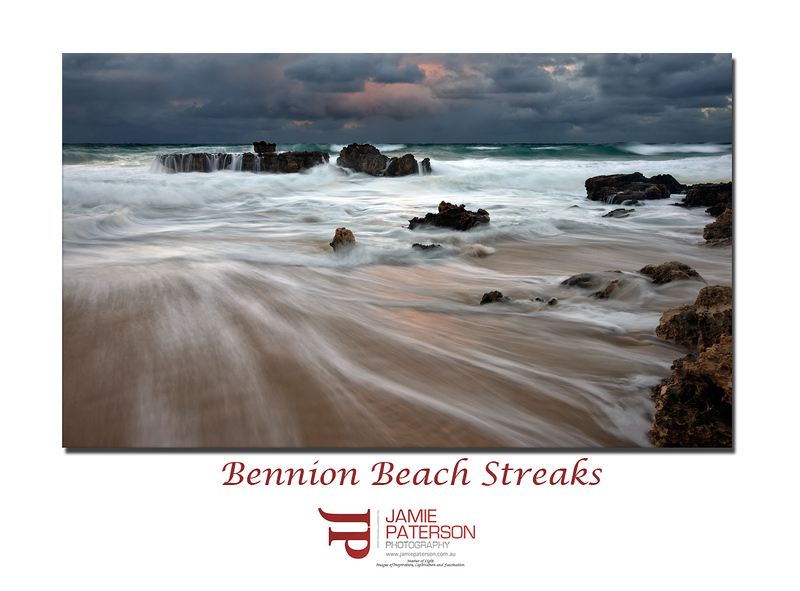 This entry was posted in Australian Landscapes and tagged australia, beach, canon, cottesloe, fremantle, image, Jamie Paterson, landscape, long exposure, ocean, perth, seascape, sunrise, surf, waves, western australia. I have been scared while taking photos thats for sure! In victoria once I jumped a farm fence to be confronted by the biggest angriest lookin horse ive ever seen. Then theres just annoying drunks that give you a little kick on their way past ya! That long swash bit adds a lot of movement to the photo. I sure like it. Composition is bang on. I can aslo see a b&w in this, but I’m not sure how to process it. That would be scary, I like horses but have never fully trusted them and they know it. Ummmm what can I say? I would’ve thought that was pretty extreme. the shot is very sharp,is this with your new lens? nice work Jamie question; what length of exposure do you need to get the smooth look of the water? Yes this was taken with my new 16 – 35mm F2.8 lens. I’m really happy with it so far, its a great lens. .6 sec for the shutter. Good stuff, Mr Paterson. Great use of exposure to create the lines in the foreground. yes mate yes, you are getting it, this is good and is where you need to be. Whites are white so that is what you want. Well done. Thank you very much, I was wondering where you had got to. Yeah I was really stoked with the lines, it certainly made the photo! Thank you, as always its nice to receive feedback like this. Giday Jamie ..bit late commenting on this but it’s a great image. Love the lines and the crispness of it and just a perfect shutter , great stuff. Makes me want to head for the beach and grab some shots myself. Just when I thought I should stop shooting down at Bennion beach, you produce this fantastic image and make me want to go there again!! I love this shot, what a perfect capture and a yes it does look very sharp. The waves are just perfect. Well done! Thanks for stopping by!!! Just goes to show you have to keep hitting a spot until you get the image you want.